This is one of the many thoughts that have sprung from the mind of Bob MacKenzie over the past three decades. A poet, songwriter, novelist, and commercial writer, MacKenzie has used his talent as an artist to express himself in many different forms. Assume Nothing, which features songs and poetry written by Bob Mackenzie and performed by different musicians, is an experimental album that gives the listener a taste of several different kinds of music. While some songs on the album explore country, classical and pop styles, others consist of nothing more than a guitar, a piano, and MacKenzie’s calm, baritone voice reciting his insightful words- some of them dating back to the late 1960’s. A multi-media project, Assume Nothing is more than just an album. Put in a computer, this CD presents a full library of song lyrics, biographies of the musicians on the album, and information on alt-folk band Poem de Terre, who play on the album. Also included is a full length crime novel, Ghost Shadow, written by MacKenzie himself. With twenty explorative songs and the creativity of several different musicians, Assume Nothing is a project that has produced dazzling results. A balanced combination of spoken word and singing from different vocalists, this album is hard to turn off midway. “First Star”, a true gem in this treasure chest of songs, is a tasteful combination of jazz chords and blues singing from country girl Lesleigh Smith. With but a guitar and a soothing alto voice, this song is simple yet rich in feeling and style. The lyrics, written by Mackenzie and Julie Knetsch, create the mellow atmosphere of a warm summer’s night under a full moon. Lesleigh Smith projects this feeling perfectly with her beautifully vibrating voice. 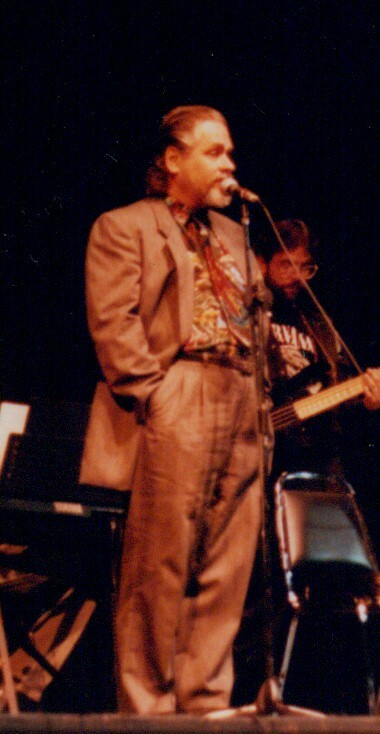 Bob MacKenzie’s interest in country and western music is expressed in several songs on this album. “A Man Came By Today”, also sung by Smith, is a classic country waltz. “The Fast Moving Blues” is an odd song that almost seems to have been ameteurely recorded. There is also a bit of classical music found in the song “Some Times of Night”, a slow, pretty ballad that also crosses over to a folky, popfeel. Of all the spoken pieces on this album, the sobering “Pyramid” stands out. This somewhat unsettling song is a mini-trilogy telling a story about man’s beginning, the war and destruction that follows, and the recovery that must take place afterwards. “Pyramid” touches on more serious subject matter than other songs on Assume Nothing, revealing to a fuller extent MacKenzie’s astounding talent as a writer. With other songs on the album experimenting with reggae, folk, alternative, and new-age music, there is a wide variety of music to be heard on Assume Nothing. Bob MacKenzie, with his eclectic taste and talent that is expressed in many forms of art, has created a worthwhile listening experience that has a little bit of something for everybody. If you are lucky enough to be the type of person who enjoys many different kinds of music, you are in for a real treat. Although this album is entitled “Assume Nothing”, it would be safe to assume one thing: this is a CD not to be missed.